First naturally flourescent vertebrate is a fish! 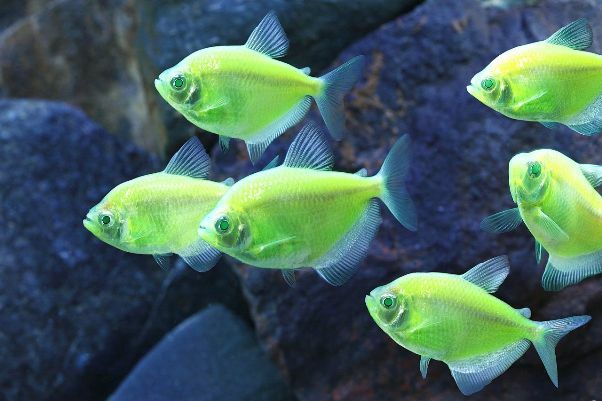 Flourescent fishes have been around for a number of years now although all the ones known to date, such as the infamous ‘Glofish’, have been genetically-modified in order to produce flourescence. 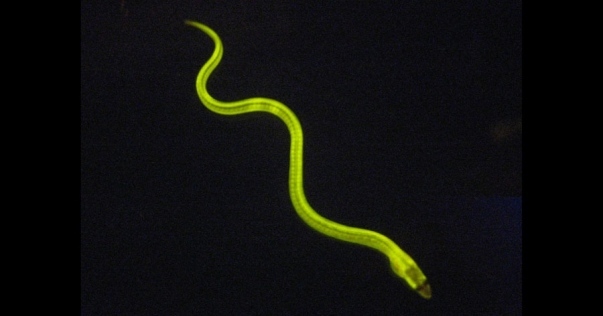 The proteins used to produce these glowing creatures have previously been extracted from microbes, jellyfishes and corals, in which they occur naturally, and have also been used to tag proteins or to track how genes are expressed. Japanese scientists have now identified the first such protein in a vertebrate, and their results are preliminarily published online in the journal ‘Cell’ this week. The Japanese eel, Anguilla japonica, is a freshwater species with a migratory lifestyle similar to that of the European and American eels Anguilla anguilla and Anguilla rostrata and a popular food fish in Japan where it’s known as ‘unagi’, a word familiar with lovers of sushi. In 2009 foodf scientists Seiichi Hayashi and Yoshifumi Toda were investigating how lipids are transported into the oily eel flesh when they found that the eel’s muscle tissue glowed green when blue light is shone on it. They isolated a few fragments of the protein responsible which was studied further by molecular biologist Atsushi Miyawaki and his team who have identified the gene that codes for the molecule, naming it ‘UnaG’. The new gene is unusual in a number of ways including the fact that it flouresces even under low oxygen levels, plus the fact it does so only in the presence of a molecule called molecule called bilirubin, a breakdown product of haemoglobin which has been used in hospital tests for years.